Learn how to import payroll data from Paychex into Kashoo. Note: Your Paychex payroll account may contain a different set of accounts then the ones listed above, so please make sure that the same accounts you find in Paychex are also created in Kashoo. Note: It is not necessary to fill out the Description field. Note: Depending on your existing business in Kashoo, you may already have some of these accounts set up. If you already do, you need to make sure the exact Number, Name and Type match those found in Paychex. For example, you probably already have a Payroll Expense account set up in Kashoo, so make sure it matches what’s found in Payhex. This step requires that you export your chart of accounts from Kashoo and send it to your Paychex Payroll Specialist so that they can match them to your Paychex account. 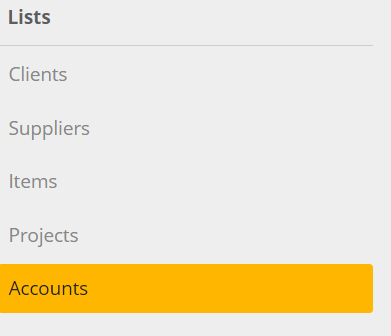 To export your chart of accounts click on the CSV export link in the Accounts page. Now send the CSV file to your Paychex Payroll Specialist. Enable your payroll transactions to be automatically imported into Kashoo by connecting your Paychex and Kashoo accounts. To do this, call Kashoo support (1-800-520-5274) to let them know your Paychex payroll Business ID. When you process your payroll run in Paychex with your Paychex Payroll Specialist, your payroll transactions will automatically be imported into Kashoo. If you look at the entry created, you may notice that it's done in a way that's easy to reconcile. Each bank account line item represents a different transaction that will withdraw funds from your bank, like a check being issued to an employee, an EFT transfer for direct deposits, and an EFT payment for taxes. 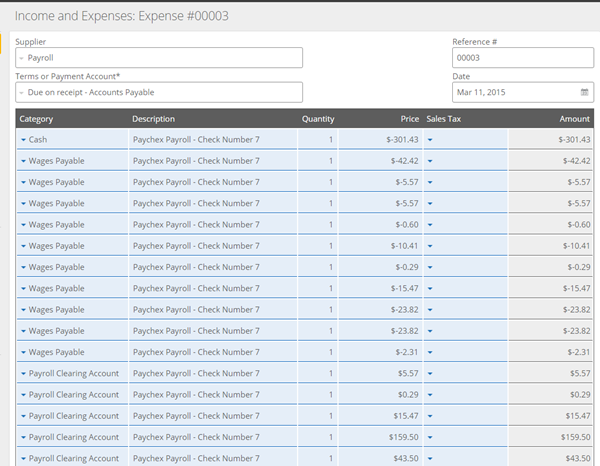 In addition to the Payroll page, you can view the transactions from the Bills to Pay page. You’ll find the transaction in the transaction history section. 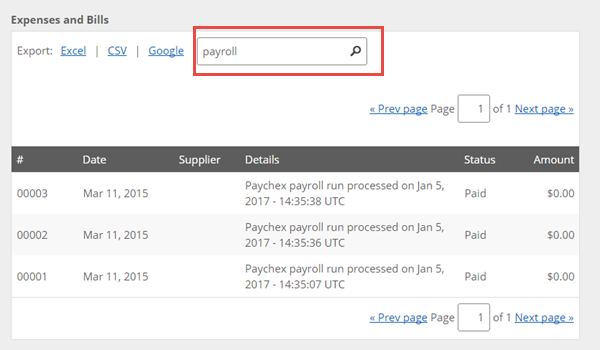 If you have many entries and have a hard time finding your imported transaction, try typing in “paychex payroll” into the search box and hitting Enter. This should pull up only your Paychex payroll transactions. To view the transaction, click on it. If you want to manually import payroll files into Kashoo, here's how you do it. First, you need to export a payroll file, so log in to your Paychex Flex account. Go to the General Ledger. Then go to Journal Entry Files. Then download your payroll file by selecting the payroll file (the format will be "Universal Export") then clicking on the Download Selected Files link. Note: If you don't see your payroll run files, go to the Don't See Your Payroll Run Files? section. To import the payroll file, go to the Payroll page in Kashoo. From there, click on Choose File and locate where you saved the exported Paychex payroll file. Note: Kashoo cannot import multiple files at a time or a file that contains multiple payroll runs within it. So, please import one file at a time, and if you have a file with multiple payroll runs in it, please generate separate files. Then press Upload and Import. Don't See Your Payroll Run Files? If the payroll run files are not readily available to download, you can generate them by using the "Create / Request Export File" form. If you are generating files, it is very important that you select "Individual Payroll", since Kashoo can only import one payroll run file at a time. 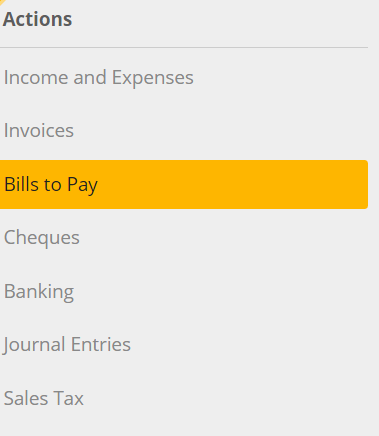 Once you select "Individual Payroll", you'll be able to choose which payroll run file to generate. For support with your payroll, please contact your designated Paychex payroll specialist.